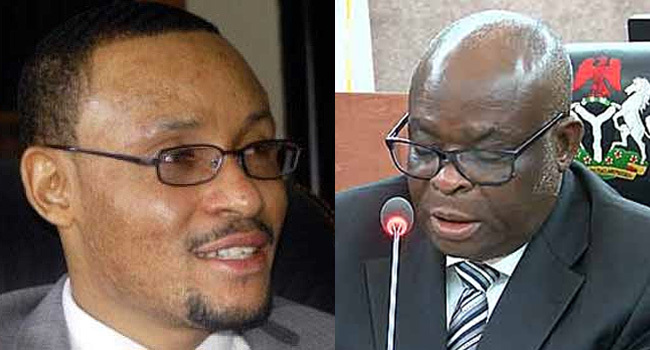 The Code of Conduct Tribunal (CCT) has issued a bench warrant ordering arrest and subsequent arraignment of the suspended Chief Justice of Nigeria (CJN), Justice Walter Onnoghen. CCT Chairman, Justice Danladi Umar, issued the warrant to the Inspector General of Police (IGP) to arrest Justice Onnoghen and bring him to the Tribunal unfailingly on Friday. He gave the order on Wednesday and directed the Director of the Department of State Services (DSS) to join in arresting the suspended CJN and compel him to be at the Tribunal.